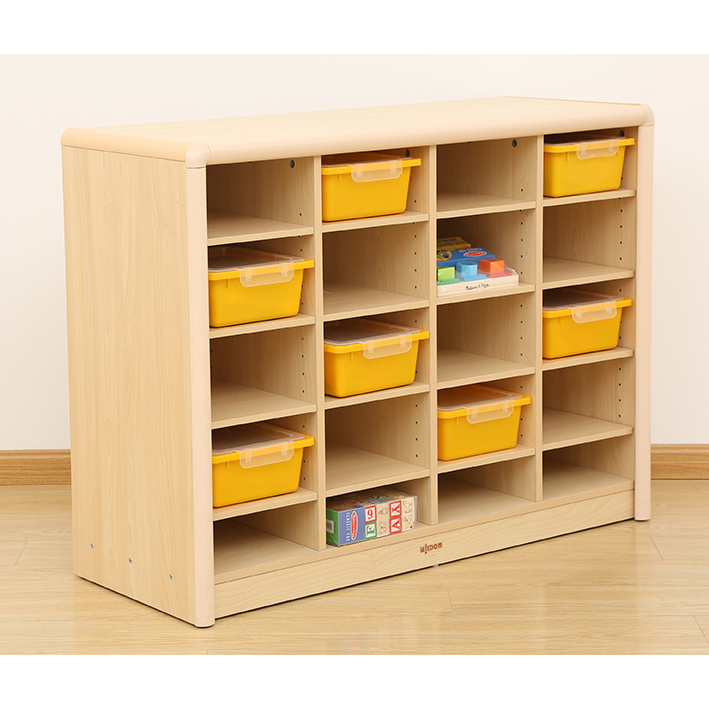 Child safe cabinet with 20 storage compartments for efficient organisation in the classroom. 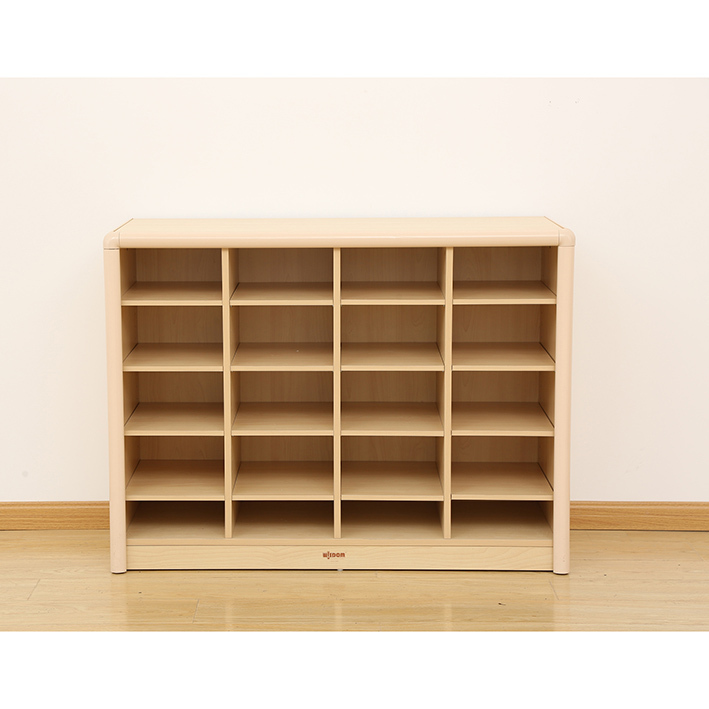 Perfect addition for storage of classroom books, games, toys and other school supplies. Shelves are adjustable every 30mm. 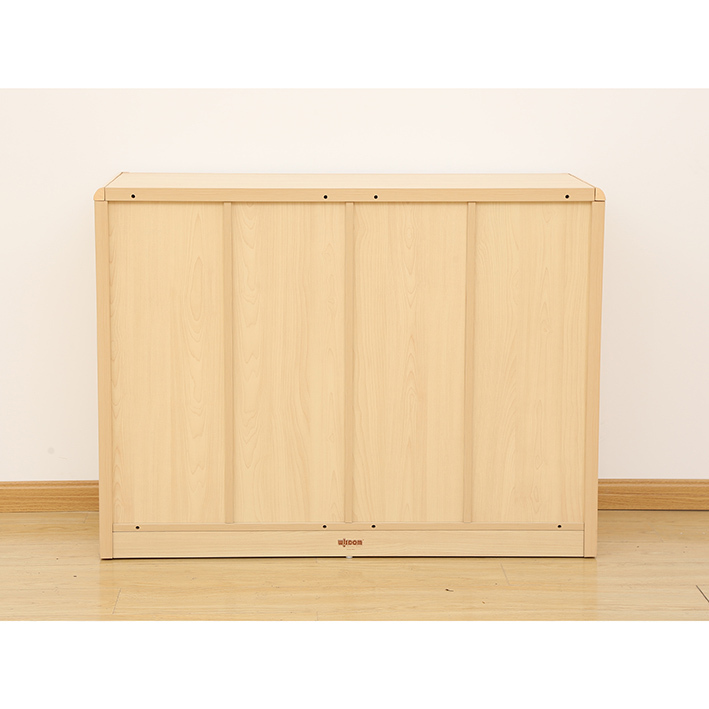 This range of sturdy natural storage units have been designed to complement the Elegant table and chair units. All units have hard wearing and child safe rounded PVC edges and are built to stand the rigours of daily classroom use – having passed relevant strength and stability tests. Manufactured from 28mm board and delivered flat packed for easy assembly.